Twenty-five years ago, while traveling through Sri Lanka, I came across huge mountains of brown dust. 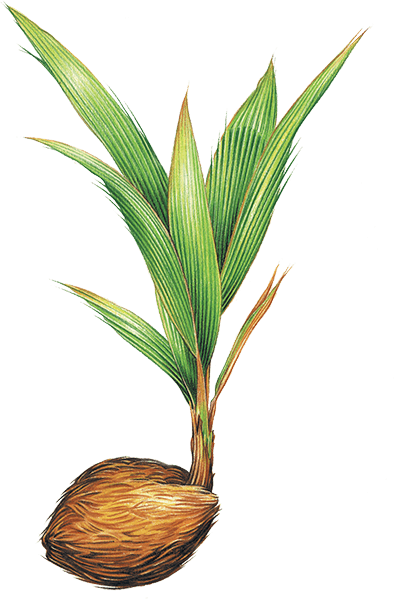 The local people regarded it as a “useless” waste resulting from the extraction of fiber from the coconut husk. Ideas were short on how to dispose of this waste stream. It struck my curiosity and got me thinking – what could this be used for? I studied this waste stream material and discovered that coconut husk dust (coir) had a magical capacity for absorbing and holding liquid. During this time, a severe drought was affecting plant nurseries at home in Australia. This was my catalyst to develop exciting, water saving, soilless growing mediums. These natural products gained wide popularity with nurseries and transformed hydroponic crop cultivation. The miraculous absorbent qualities of coir, further influenced me in developing a multi-purpose absorbent product – the dynamic SpillFix! It can absorb and clean up every type of commercial, industrial and household liquid spill. Two decades later I am still committed to developing visionary, sustainable and eco-friendly products with this coir material. The wisdom of the universe provides us with a way to create transformational products that are safe for us, our pets and the environment. In our 25 year history, Galuku Group Limited the manufacturer of SpillFix has built a reputation for quality, innovation and game-changing products in hydroponics & horticulture, industrial absorbents, bio-filtration and pet products. We take pride in the fact that we collaborate and work with some of the world’s largest companies. The development of SpillFix as a premium, eco-friendly universal absorbent has been no accident. We have developed and tested the product for more than ten years to ensure maximum performance in absorbing almost any liquid spill. Companies that choose SpillFix, do so because ‘it just works’, and for the extensive sales support and ongoing marketing support that comes with choosing SpillFix. Over 350 of the top industrial distributors nationally in the USA would attest to that. We look forward to be of service to you as well. American Green Ventures (US) Inc., is a wholly owned subsidiary of Galuku Group Limited. "The incentive to change to SpillFix was initially due to the fact that SpillFix left no residue and removed any threat of workers slipping and falling."